Motorcycle racing is an outdoor sport. The riders are at the mercy of the elements. Not just the riders, but the teams and factories too. A bike that works well in the dry may be terrible in the wet. A bike that is strong in the wet may struggle when conditions were mixed. Finding the right balance when conditions change can throw the best laid plans into disarray. 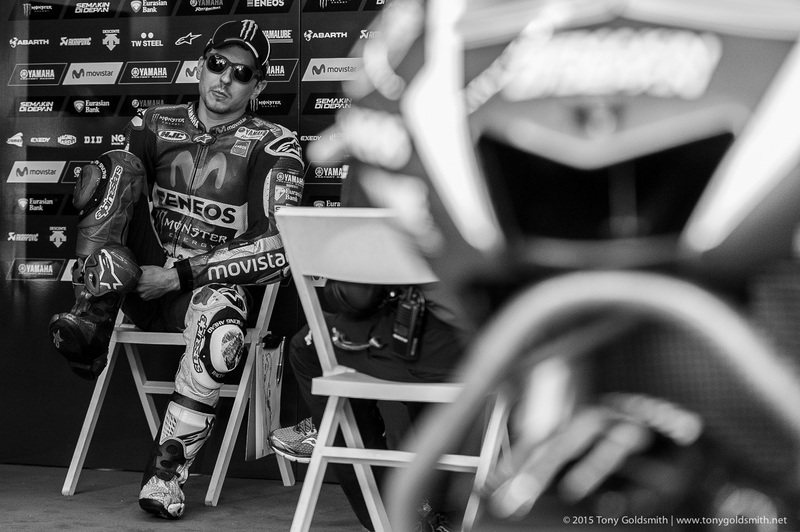 All of these questions were multiplied by the weather at Assen. With nothing between the circuit and the North Sea but a row of sand dunes, the odd high rise office block, and a hundred kilometers of pancake-flat farmland punctuated by the occasional tree, the wind, sun, and rain blow out just as quickly as they blow in. The weather at Assen is as fickle as a pretty teenager in a crowded disco. That made it tough for MotoGP at the Dutch circuit. Searching for the right setup was both perilously difficult and ultimately futile, for as soon as you found something in the right ballpark for the conditions, the rain would come or the track would dry out, and you would have to start all over again. Add in tarmac which has fantastic grip in the dry but diminishing grip in the wet, and you had a recipe for, if not chaos, then at least a fairly random mix of riders topping qualifying. MotoGP got off to an inauspicious start at Assen. Just a couple of minutes into FP1 on Friday morning, the red flags were already out. The cause? Andrea Dovizioso’s Ducati Desmosedici GP17 had started spewing oil all over the track on his out lap, causing first Jonas Folger to take a massive tumble through the gravel at Duikersloot. It also took down Dovizioso’s teammate Jorge Lorenzo. “I felt some movement a few corners before,” Folger said of his crash. “I had a highside, and then the bike hit me as well.” After a brief check up at the Medical Center, Folger was sent on his way again. Fortunately for the Tech 3 rider, it took the best part of half an hour to clean up the oil left on the track by Dovizioso, so he had plenty of time to get back to the garage and get ready again. Surprisingly, the crash left him with few ill consequences. Folger was able to get back out, and build up his confidence again. So much so, in fact, that he ended the day as second fastest, with only a masterful Maverick Viñales ahead of him. Where had his speed come from? Confidence mainly. He had gained confidence from the past couple of rounds, and especially at Barcelona. Being fastest during warm up in Barcelona, and seeing Marc Márquez struggle to match his pace had given Folger a boost. This, and working out that he needed to brake later, had made a world of difference. For the first ten years I spent writing previews for the Dutch TT at Assen, I would start have to start of on a tangent, with a brief summary of the schisms and splits of the Dutch Reformed Church. Without the background to the religious topology of The Netherlands, it is hard to explain why the race was held on Saturday. Last year, when the MotoGP race was held on a Sunday for the first time, I had to recap that, to explain why it was a big deal for the race to be held on Sunday, and to be moved from Saturday. This year, 2017, I can leave aside the history of Dutch Protestantism and its aversion to any activity on the Sabbath. This will be the second time the race will be held on Sunday, and so the novelty of the change has worn off. It has fallen in line with the rest of the calendar, and so it is just another race weekend, same as any other. Although of course, being Assen, it is still something a bit special. If anything, the switch from having a Saturday race to a Sunday race has been a positive boon. Though some feared the traditionalists would stay away, offended by change, visitor numbers were up last year, especially on Friday and Saturday. More people came for the race as well, despite taking place in an absolute downpour. Over 105,000 fans packed a flooded Assen, because being Assen, it is still something a bit special. “If it wasn’t for the Dutch TT race, I would have to close my business.” Those were the words of the taxi driver who took me from the Assen train station to the circuit, for a presentation on the plans for major upgrades to their spectator facilities over the next three years and beyond. 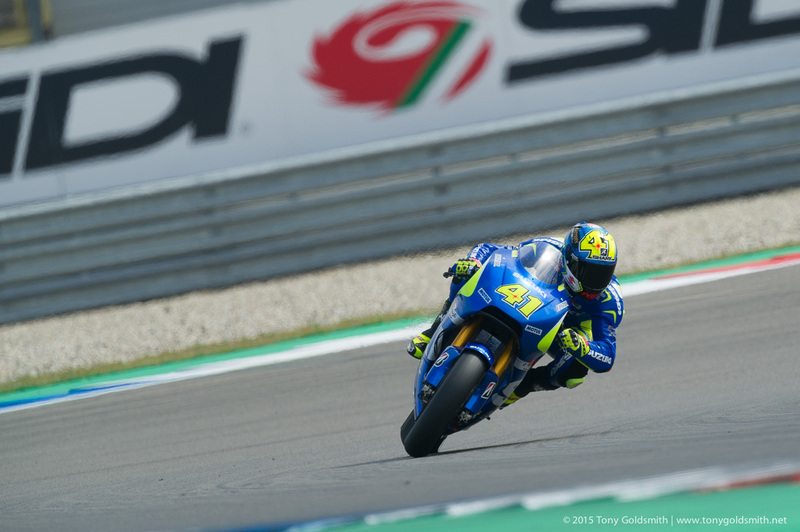 It offered an insight into the importance of the MotoGP race at Assen, and by extension, the importance of circuits and MotoGP events around the world. My taxi driver explained that over the week surrounding the Assen race, he was kept so busy that the money he made during that period was the difference between ending the year with a profit and the ability to invest in the future of the business, or just about breaking even. Chatting to an official of the provincial government, who had grown up in the city and worked in bars there during his college years, he confirmed that experience. The bars back then were so busy during the race weekend that it was the difference between survival and failure. The same is true for many businesses and hotels around the region, as anyone who has ever tried to book accommodation in the weeks before the race can attest. Valentino Rossi celebrates his first victory from pole position since San Marino in 2009. Jorge Lorenzo got a great start from 8th on the grid, but never looked liked troubling Rossi and Marquez at the front. Marc Marquez felt aggrieved not to be credited with the win after the last lap move into the final chicane, which pushed Valentino Rossi wide and across the gravel trap. 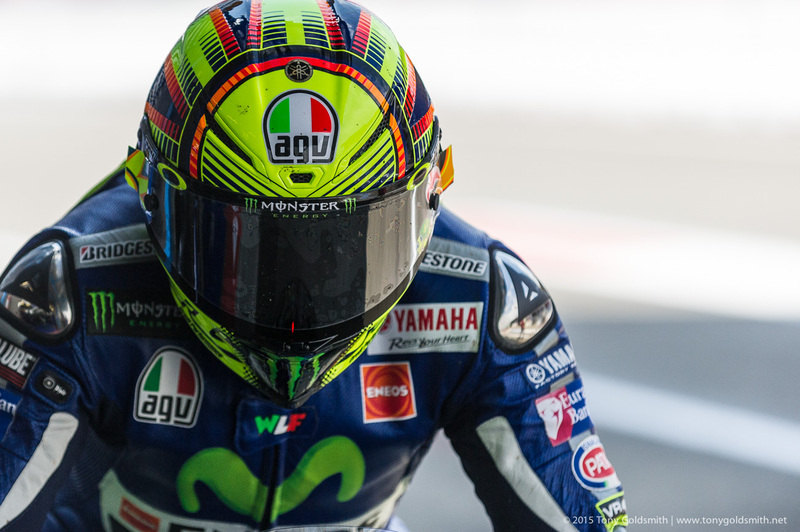 Valentino Rossi broke the outright lap record on his way to pole for tomorrow’s Dutch TT at Assen. Aleix Espargaro backed up his pole in Catalunya with another front row start. 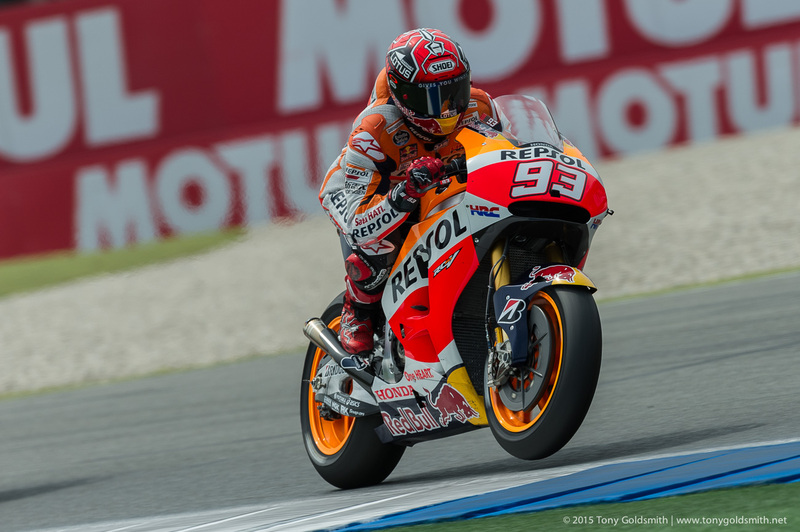 Marc Marquez claimed the final spot on the front row. If the Honda is so bad, why are two RC213Vs at the top of the timesheets? That seems like a very valid question, given the public struggles that all of the Honda riders have had with the bike this year. Has the 2014 chassis finally fixed the Honda’s ailments? Is Márquez back? If only it were that simple. Firstly, of course, Marc Márquez never went away. The double world champion still possesses a gargantuan talent, and the desire and will to use it. He was hampered by many aspects of the 2015 bike, including both the engine and the chassis. 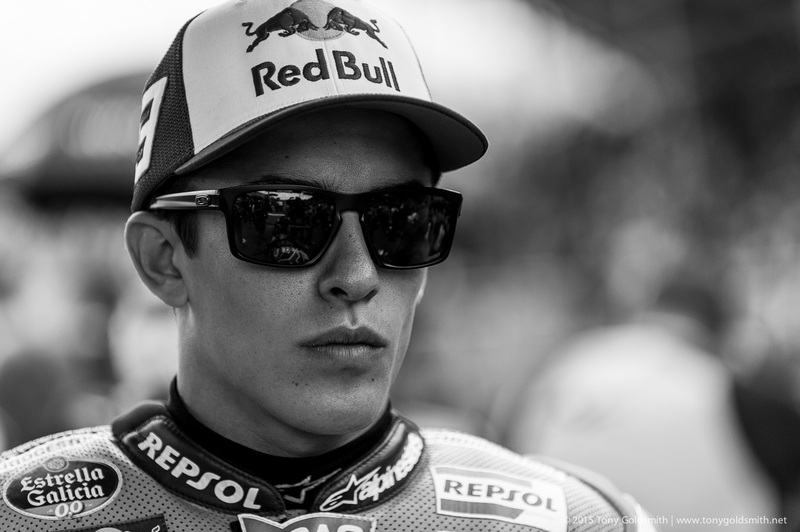 The 2015 chassis, he explained at Assen, was more precise and could be used more accurately. Unfortunately, the only way to get the best out of it was to ride it like every lap was a qualifying lap. That level of intensity is just not sustainable over race distance. At some point, you will make a mistake, and the 2015 chassis punishes mistakes mercilessly. So HRC have reverted to a hybrid version, using a 2014 chassis and the new swingarm which Márquez first tested at Le Mans. The Dutch round of MotoGP, the Dutch TT at Assen, is to switch from Saturday to Sunday. From 2016, the event will surrender its unique status as the only MotoGP round to be held on Saturday, and fall in line with the rest of the MotoGP races. It will, however, remain on the last weekend of June, but will now be on the last Sunday, rather than the last Saturday of June. The decision was taken by the circuit management after long consideration and discussions with many of the parties who have an interest in the race. The circuit also commissioned market research into the use of leisure time among the Dutch public, which showed that Sunday is the day most people set aside to spend attending sporting events, such as the Dutch TT. Circuit director Peter Oosterbaan and chairman Arjan Bos said that the market they were operating in was such that Sunday was a better day all round for sporting events. Dani Pedrosa set a new outright lap record on his way to the fastest time on the opening day at Assen. Jorge Lorenzo was unhappy with his pace at the end of the first day complaining of excessive corner exit wheelie and a lack of edge grip. Valentino Rossi was quickest during this morning FP1 session. 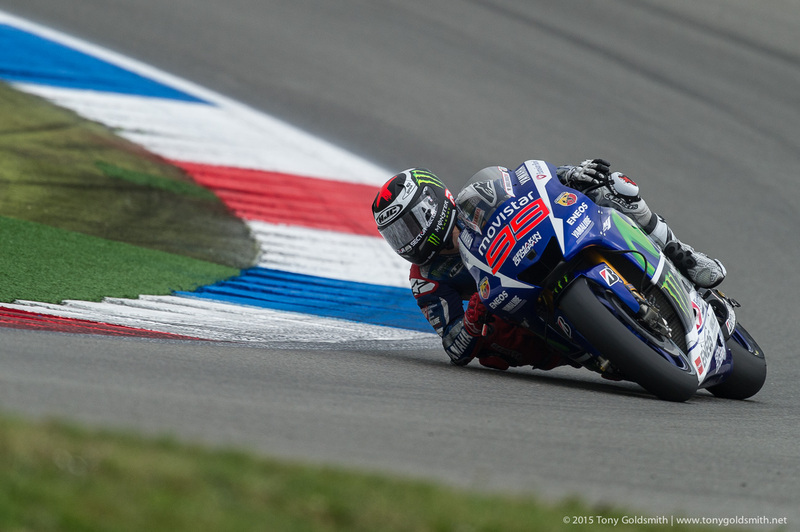 Preview of Assen: Does a Flowing Track & A Final Chicane Make for a Recipe of Thrills? Ask anyone what makes a great circuit, and they will tell you that it takes three things: fast corners, great scenery, and lots of elevation changes. So what makes the TT Circuit at Assen so great? It only really has one of the three factors that makes it a great circuit. If the track has elevation changes, they can be measured in centimeters. The scenery is mostly absent, though that does allow more of a view of the expansive skies the Dutch masters of the 17th Century were so famed for. The only factor which the track still possesses is a collection of really fast corners, testing the mettle of anyone with ambition to take on the circuit.